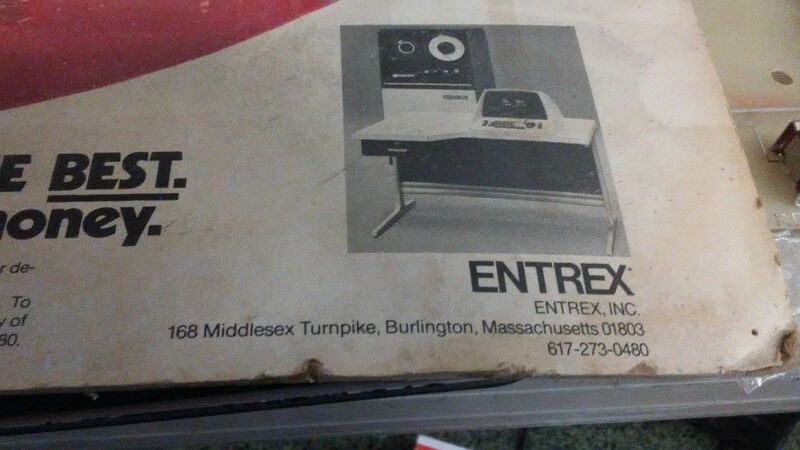 When I worked as a tech in the final test area there in Burlington, I put it on my office wall and it was quite a surprise to all who visited. 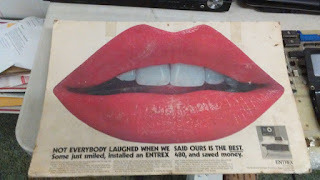 One of a kind - I think ! 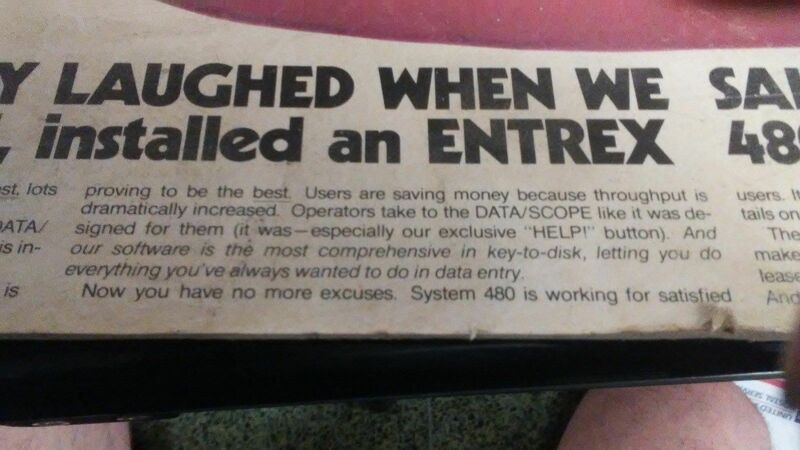 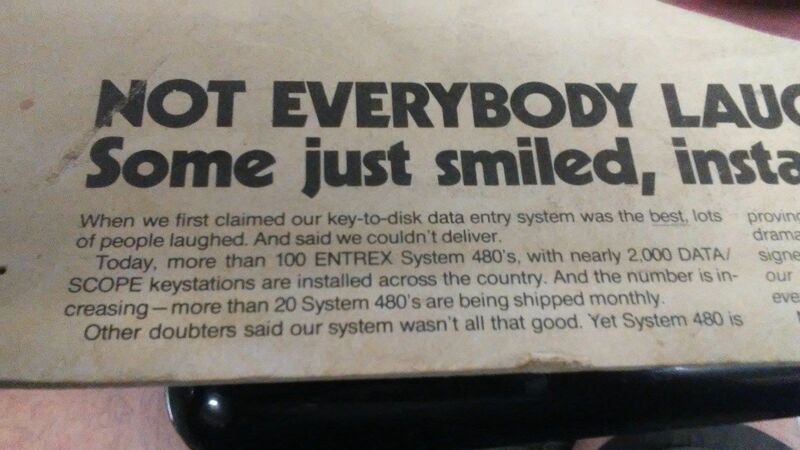 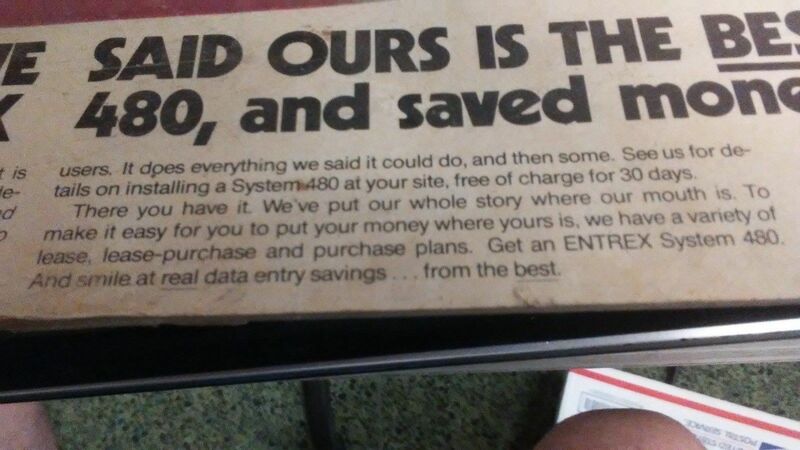 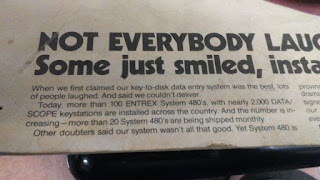 I wonder if this was a proof for a 2-page ad published in industry magazines, such as the ones we see in ComputerWorld in the early 70s, as I show in "Entrex Ads"
and then finally by Siemens. 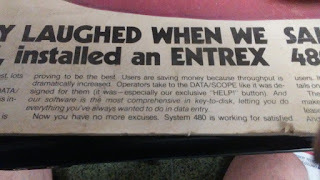 back in the day ... building 20 systems per month. This is a very rare sign and sold as-is with no returns. The sign measures 17" X 11"
A real nice piece of vintage computer history.